5 Sebastian Vettel SF71H – Scuderia Ferrari 2. 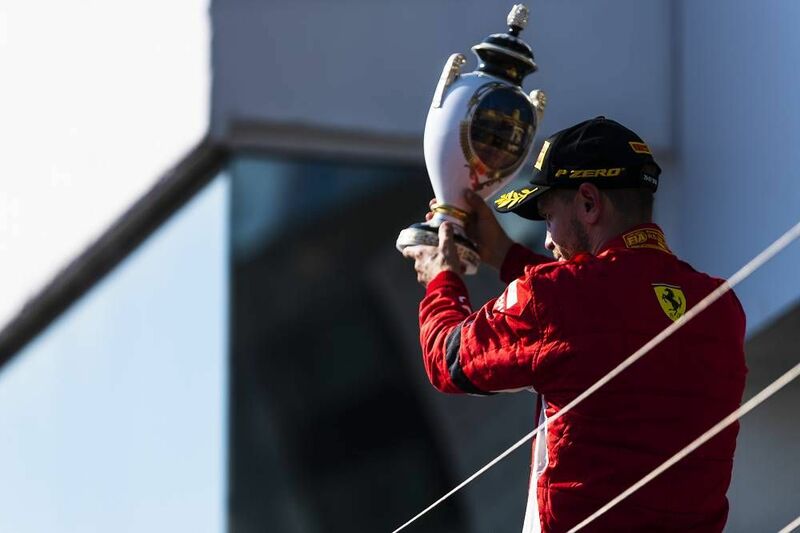 Mogyorod, 29 July –From second row on the grid to a double podium finish. 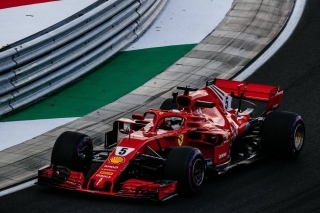 With Seb second and Kimi third, Scuderia Ferrari probably got the most they could out of a difficult Sunday. 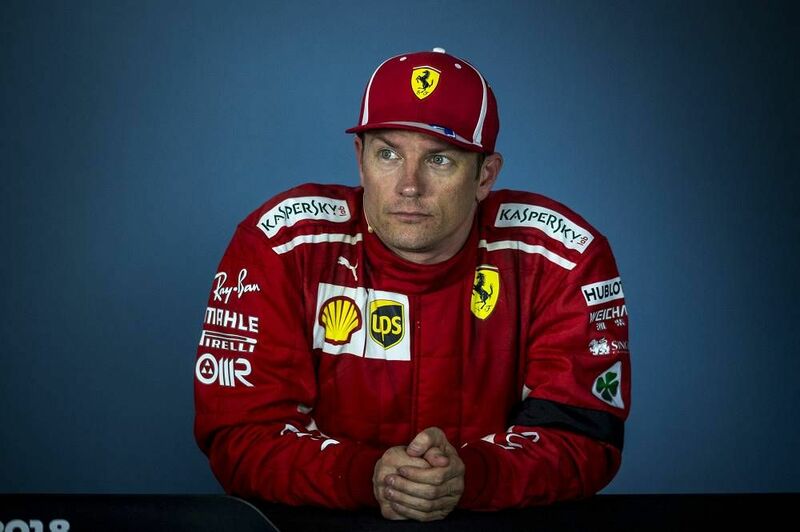 However, there has to be a question mark, or maybe regret, about what might have been, but for a moment’s hesitation at the pit stop. 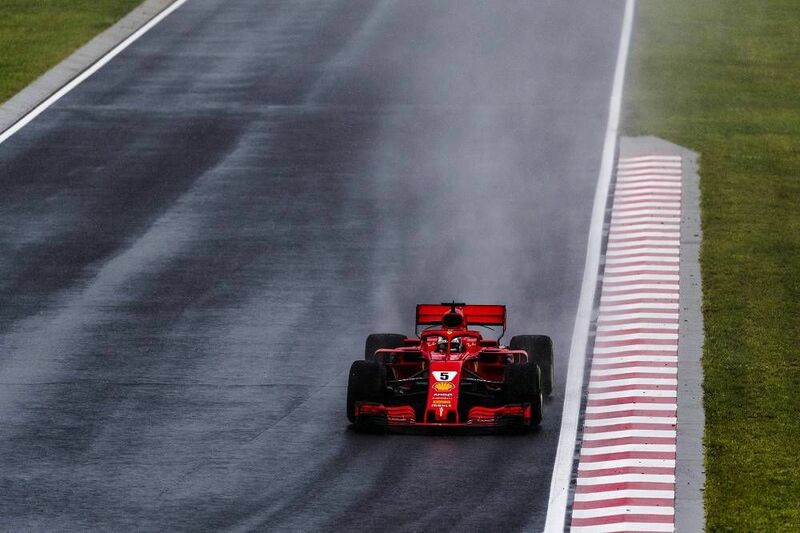 Or for that matter, if it hadn’t rained on Saturday afternoon. 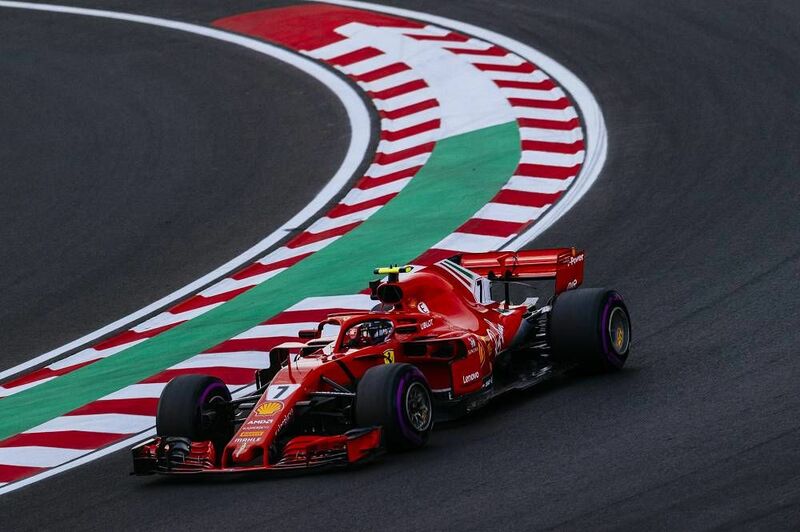 But the SF71H continues to show it is strong everywhere and Vettel’s overtake on Bottas was the best move of the race. 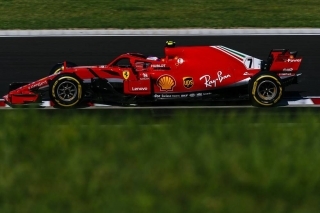 Budapest 28 July – At the end of a qualifying session held in the rain, Kimi Raikkonen was third fastest in a time of 1’36”186. 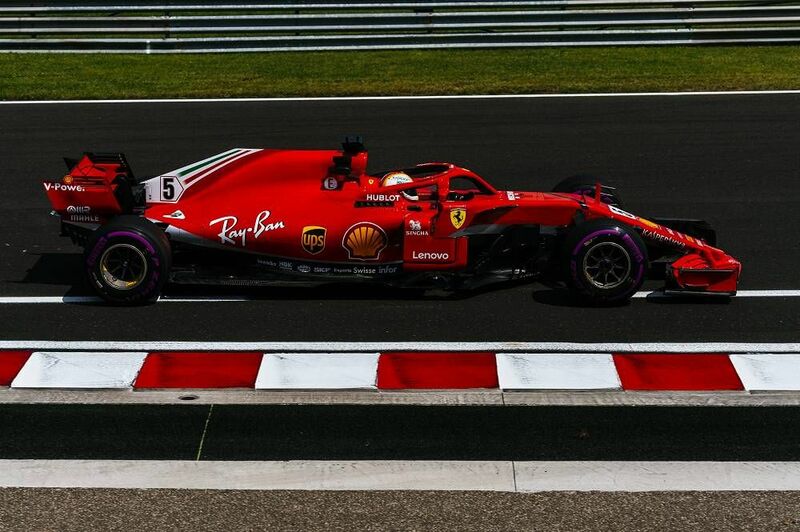 His German team-mate Sebastian Vettel posted a 1’36”210 to secure fourth place on the grid. 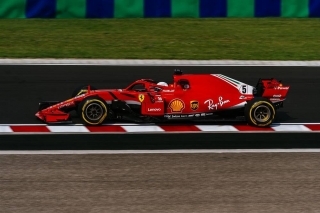 The Scuderia Ferrari drivers used Intermediate, Ultrasoft and full wet tyres during the session. 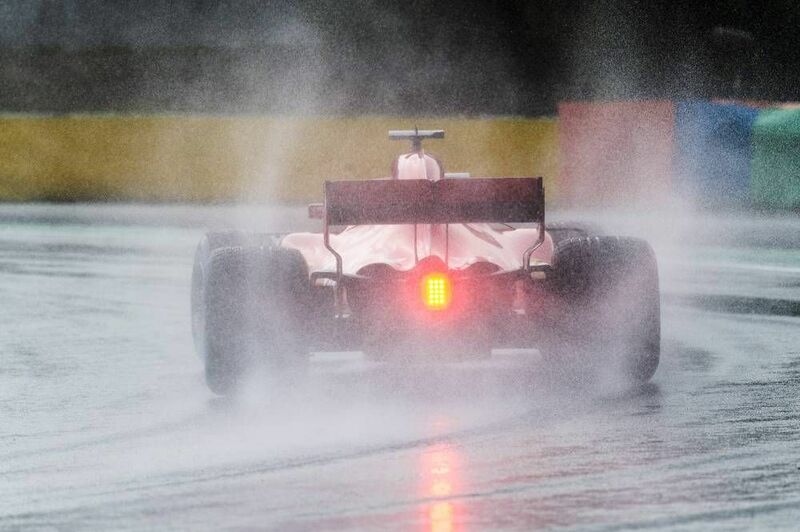 The red lights go out to start the race at 1510 tomorrow. 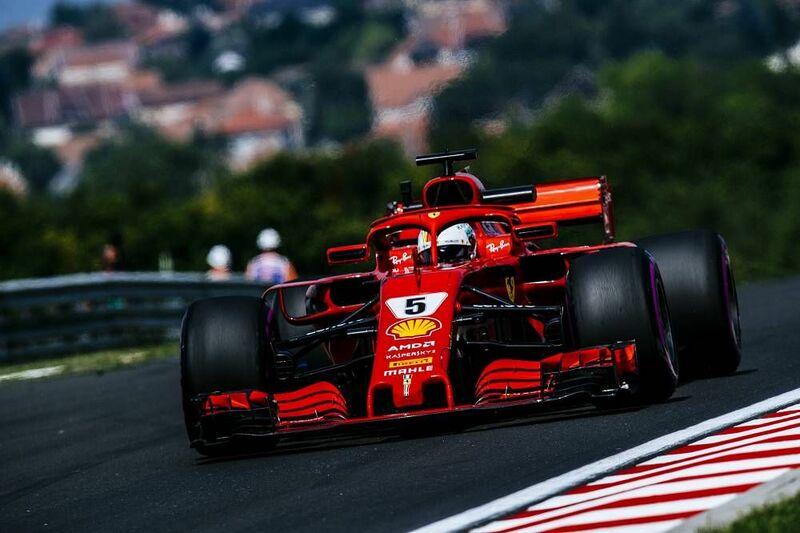 Budapest, 28 July – At the end of the final free practice session at the Hungaroring circuit, Sebastian Vettel was fastest in 1’16”170. 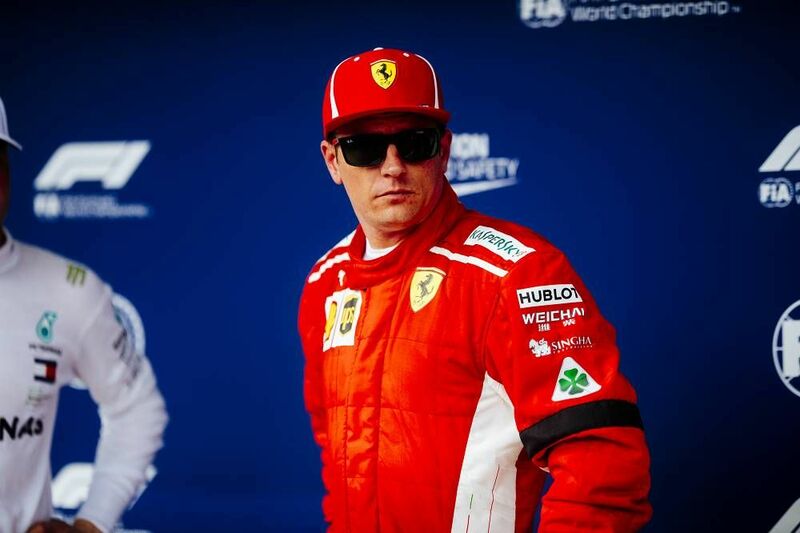 Team-mate Kimi Raikkonen was third quickest this morning in1’16”373. 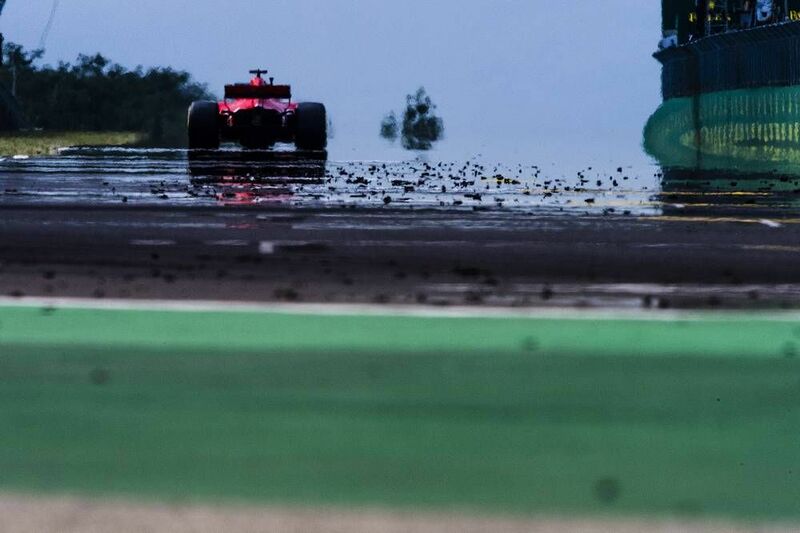 Both drivers followed the same tyre programme, running the purple-banded Ultrasofts for the whole session. Next up is qualifying at 15h00. 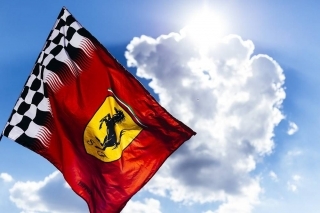 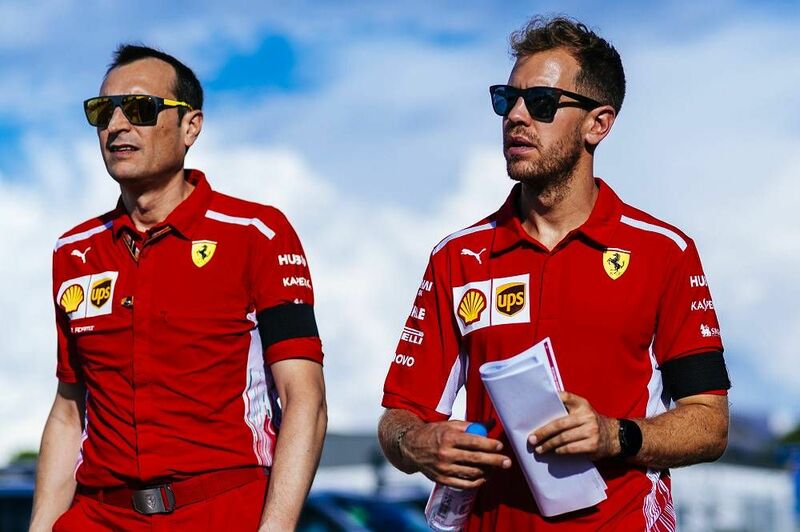 Mogyorod – The best way for Scuderia Ferrari to honor the late Sergio Marchionne and endure the tragic events of this week is to focus on the job we have to do this weekend. 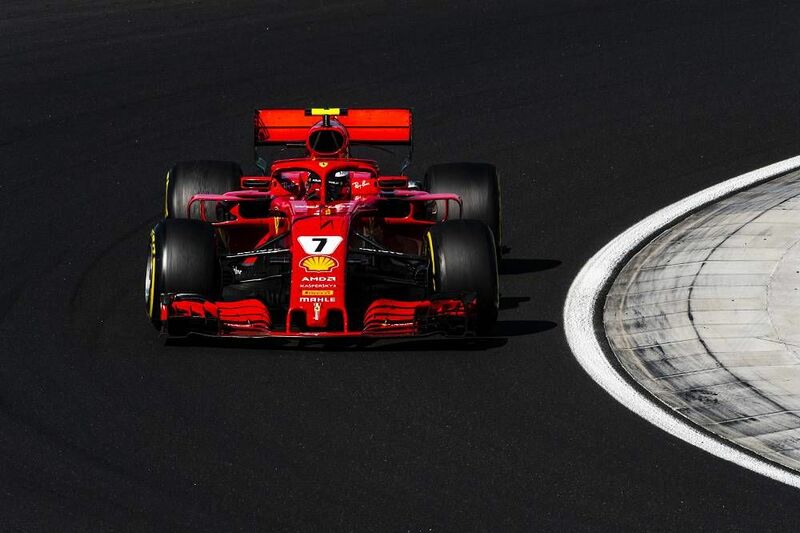 Both Sebastian Vettel and Kimi Raikkonen are well aware of this and the whole team did their best in the first day of practice at the Hungaroring, an effort resulting in a convincing pace in both the fast laps and the long runs. 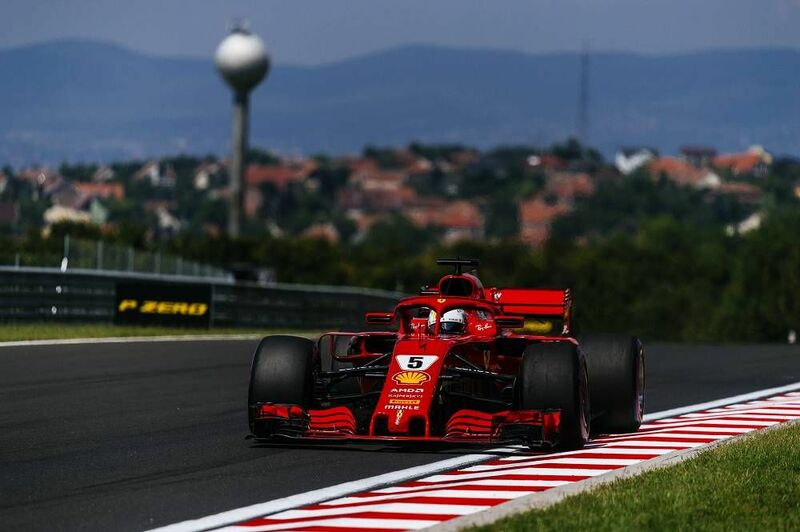 But it’s only Friday and the real challenge will begin tomorrow on the hot, 4.381 kilometre-long track just a few miles from Budapest. 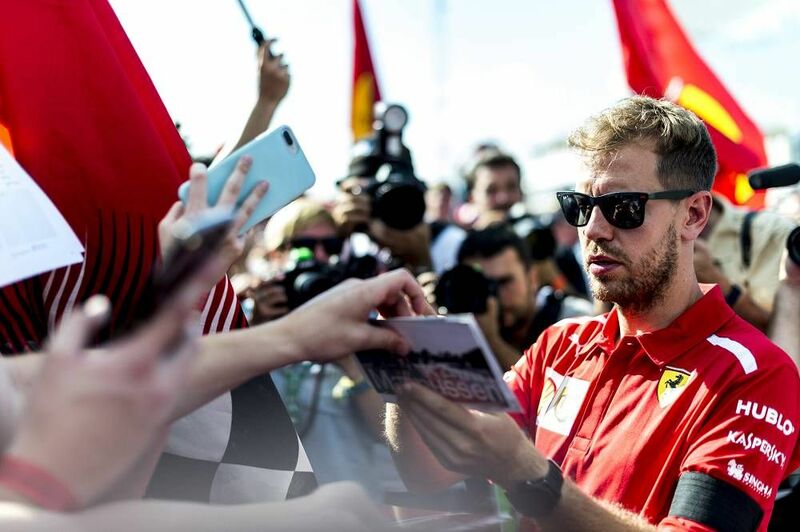 “I was pretty happy in the afternoon” Seb said “more than in the morning session, as I think the car is performing well also over one lap. 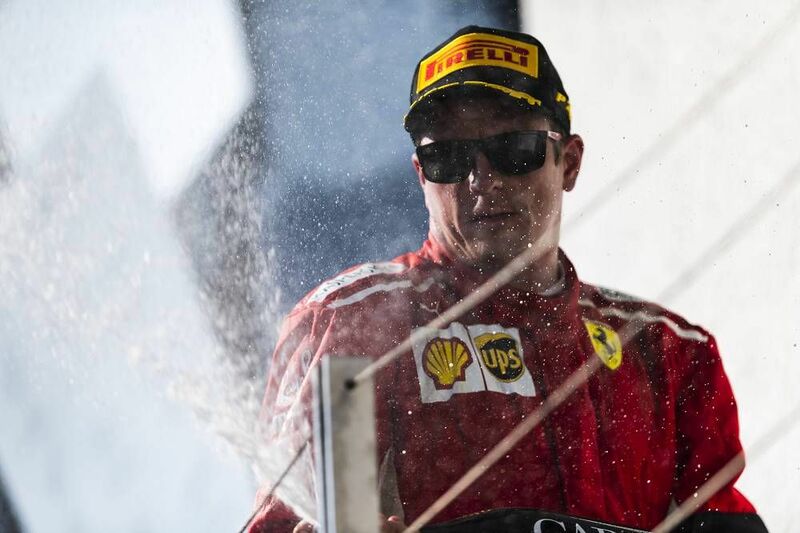 We can still improve, but this has been one of the best Fridays so far, technically speaking. 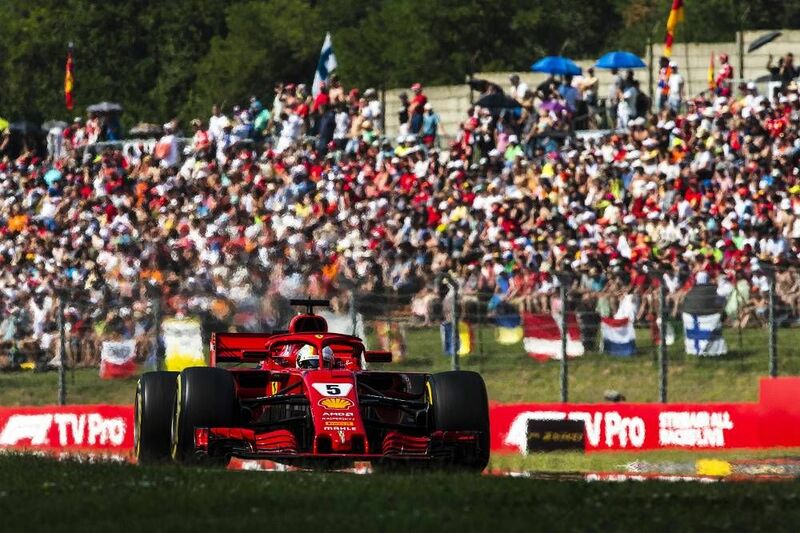 Having a great amount of work ahead of us is probably the best thing for keeping our mind busy and getting through the weekend. 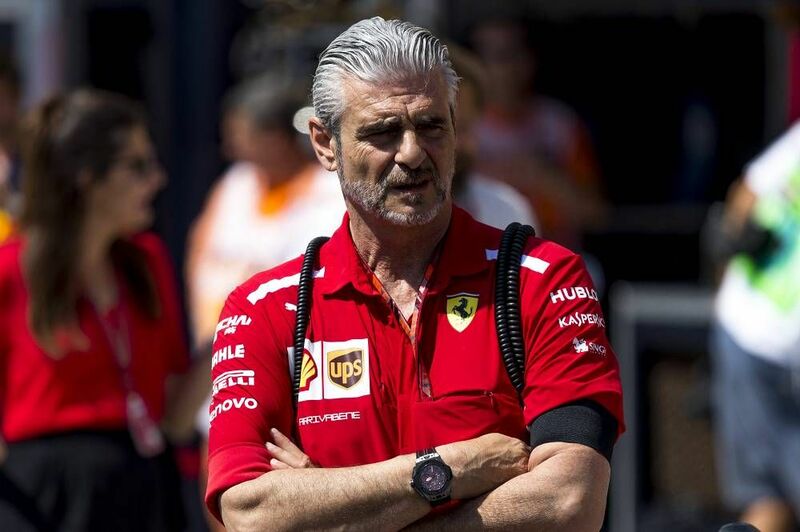 It’s not easy, but I focused on the job to do. 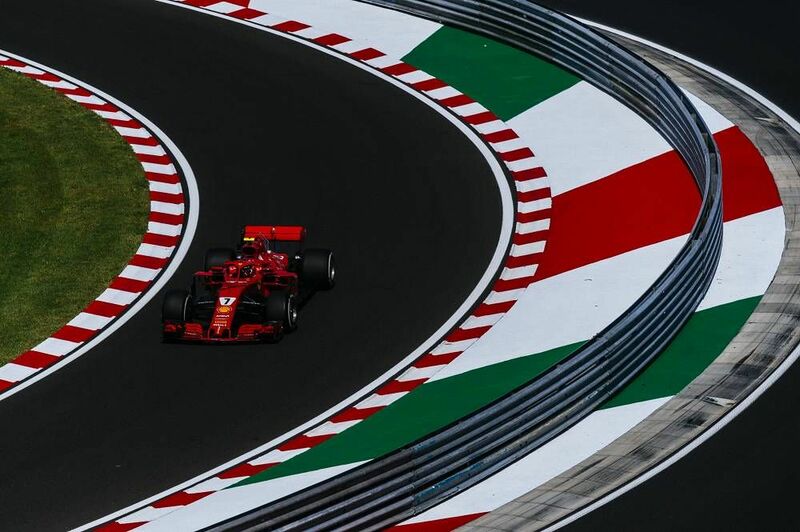 On this track, the qualifying session and the start are very important and can make the difference because overtaking is very difficult. Getting ahead after the first couple of corners is crucial, but there’s a lot of work to do before getting to that point”. 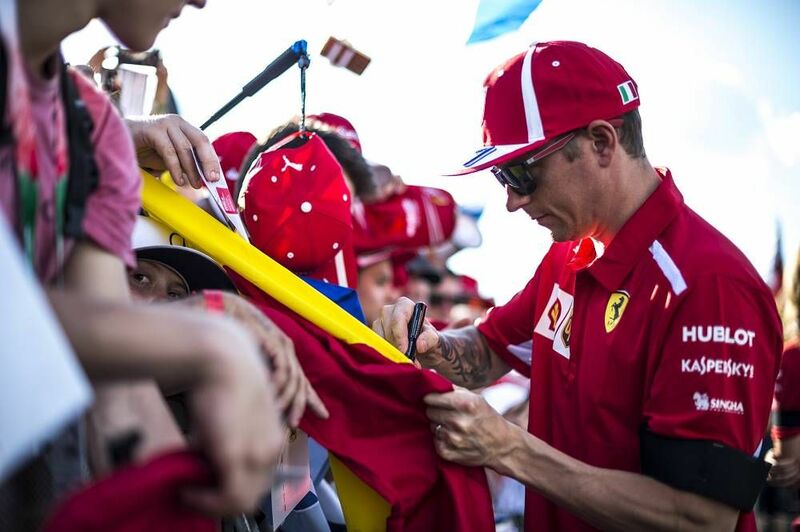 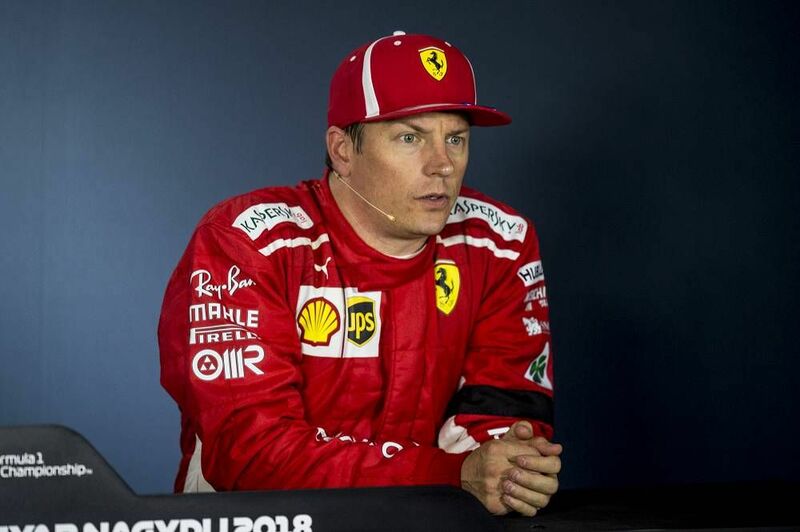 “It was a very normal Friday”, Kimi commented “trying things and learning as much as possible. 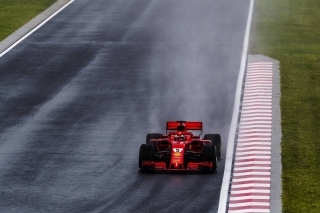 The conditions were not very easy in many ways, but it’s normal on a Friday. 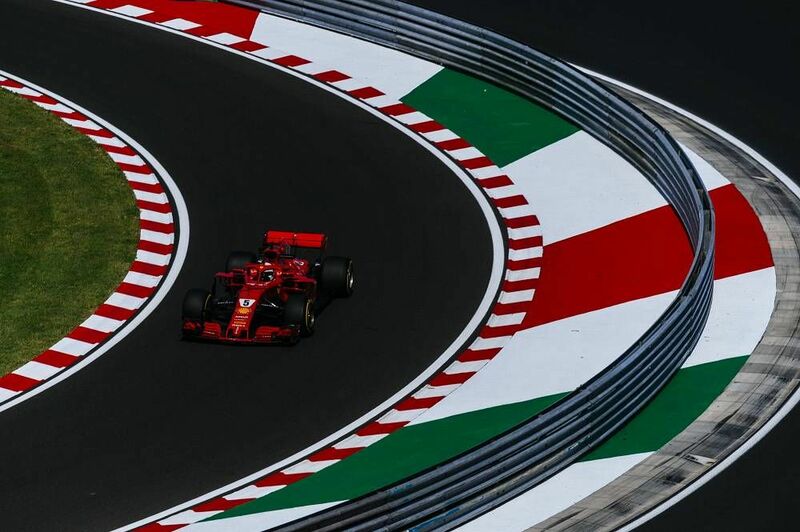 We don’t really pay too much attention to the lap times, they really don’t count in a practice session. 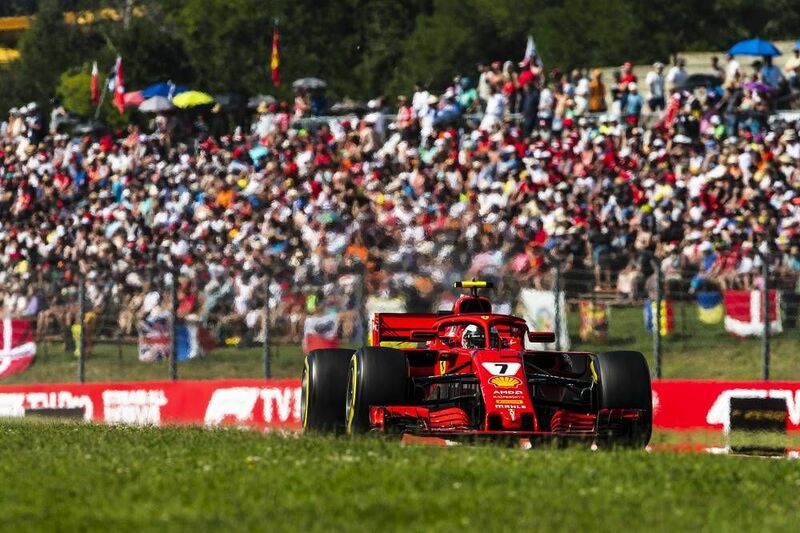 For sure we still have some work to do, but it was not too bad and the car worked as we expected. 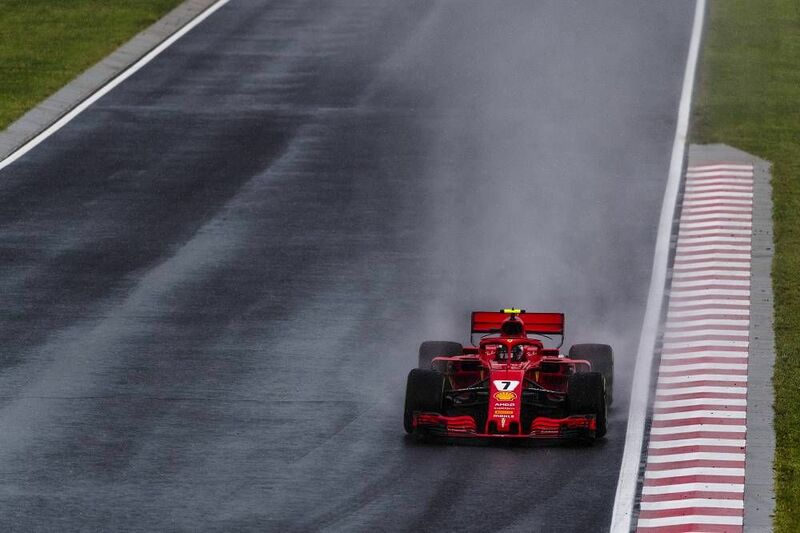 Hopefully tomorrow we’ll have the speed we need”. 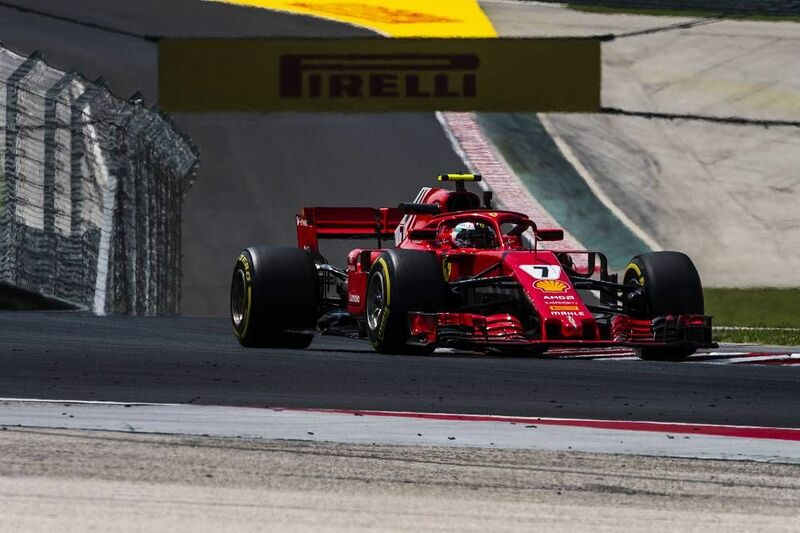 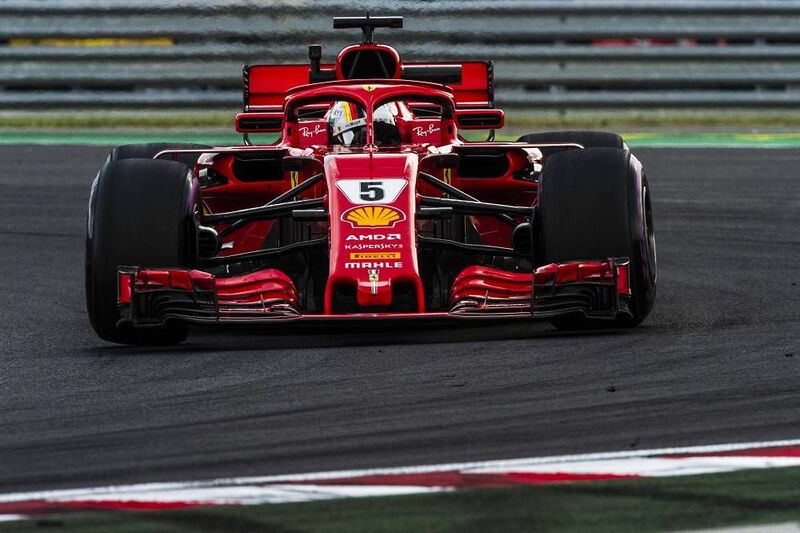 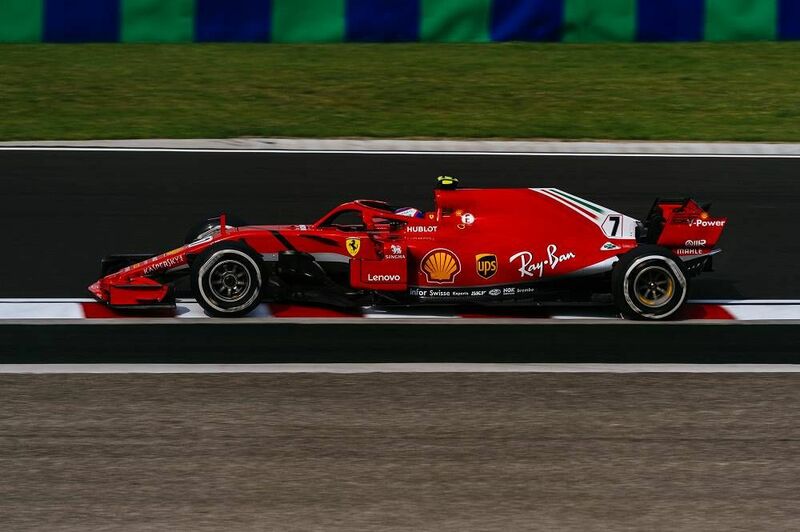 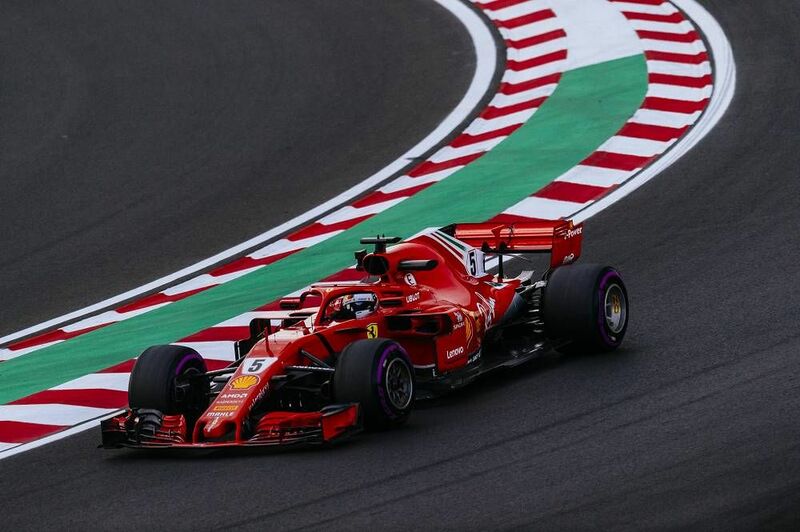 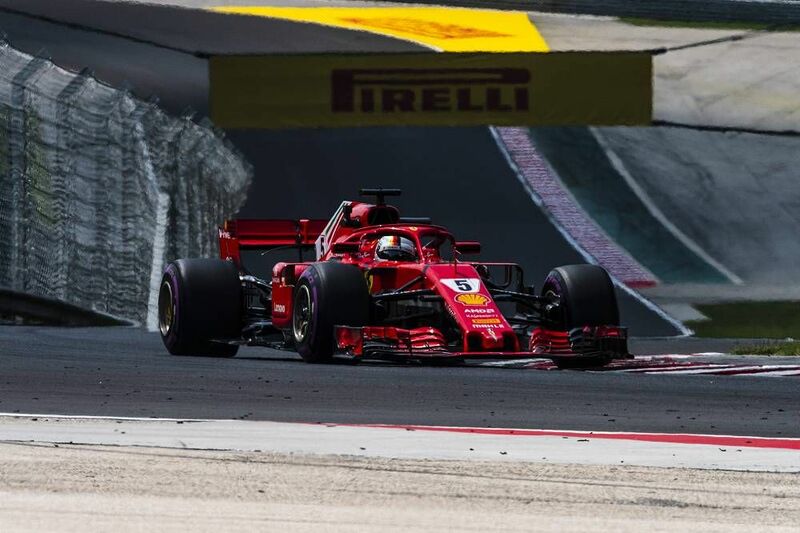 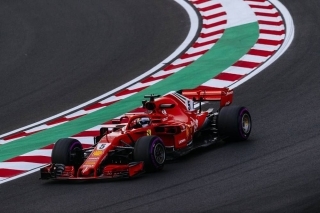 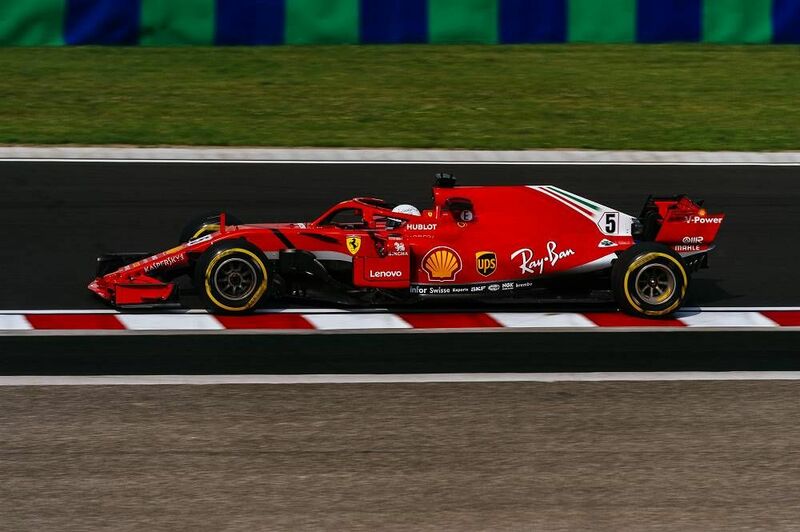 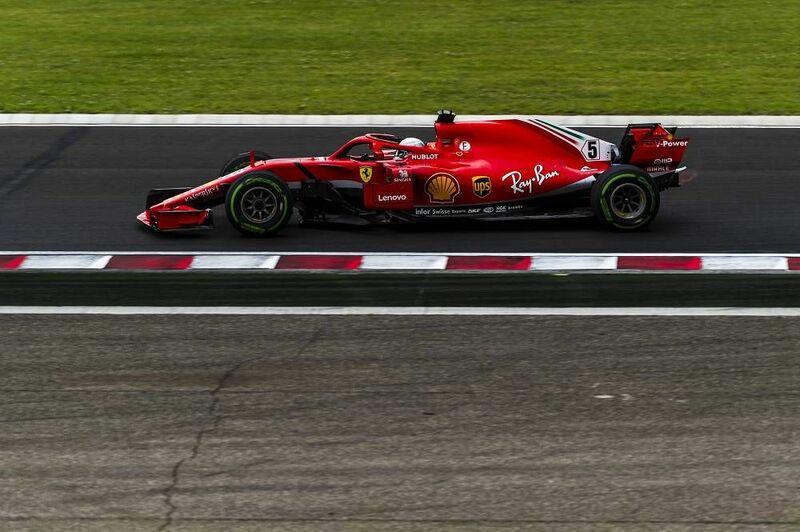 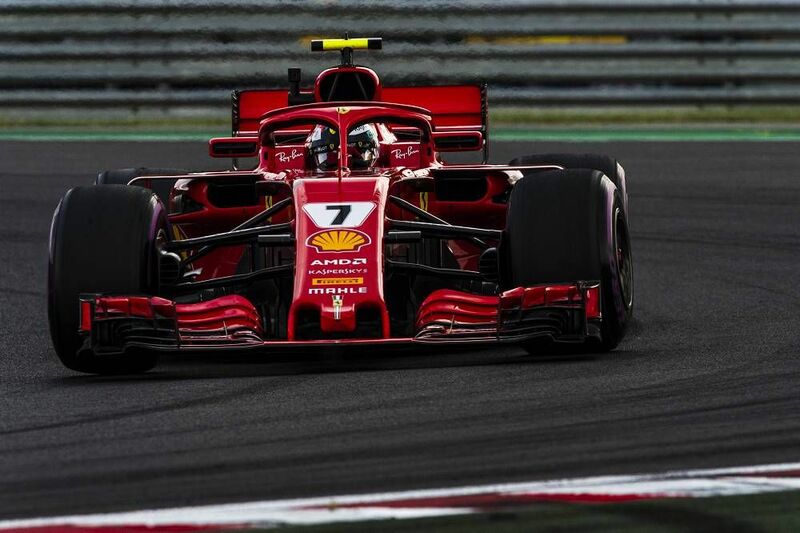 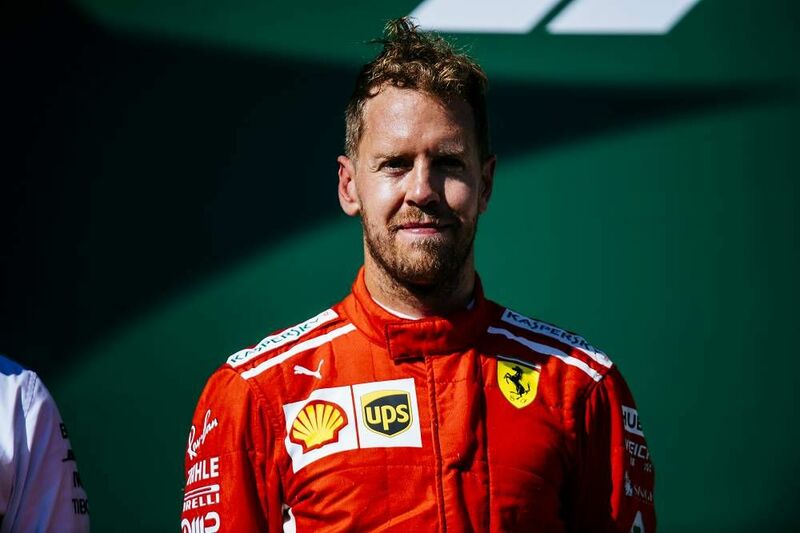 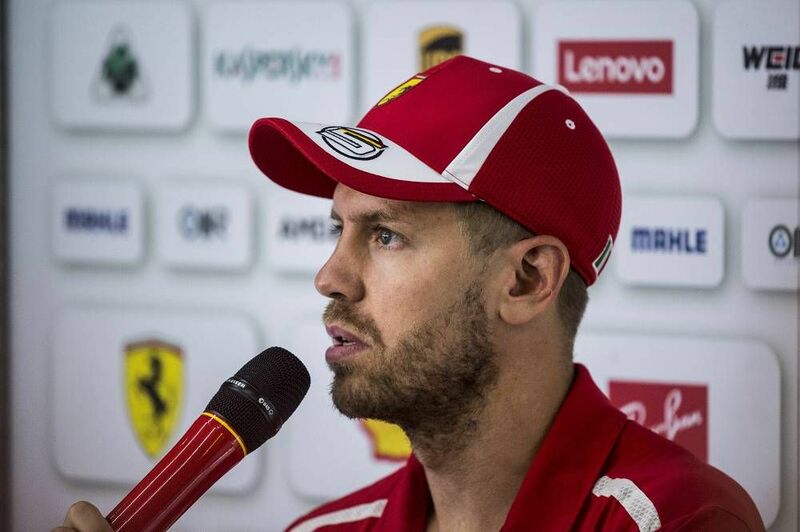 Budapest, 27 July – Friday’s F1 track action has come to an end at the Hungaroring and the Scuderia Ferrari drivers ended up first and fourth in the second free practice session. Sebastian Vettel posted a lap in 1’16”834 and Kimi Raikkonen did a 1’17”153. 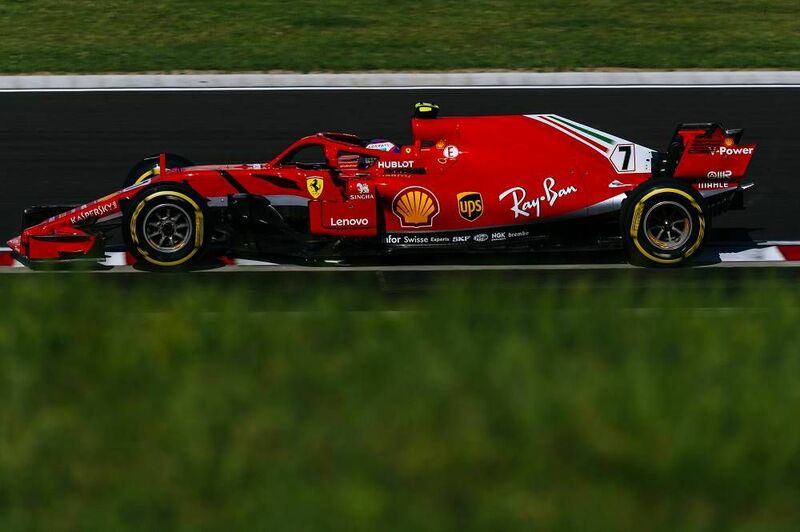 At the start of the session, the Finn ran the Medium tyres, while his German team-mate opted for the Softs. 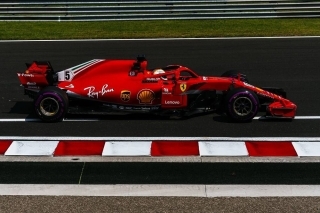 Then, both men were on the same tyre programme, using the purple-banded Ultrasofts, before switching back to the Softs for the long runs. 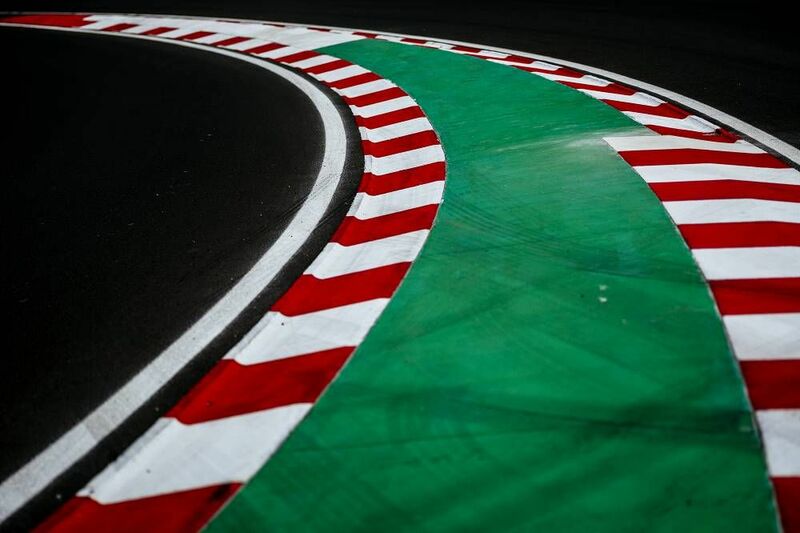 The final free practice session takes place tomorrow at 12, followed by qualifyin at 15h00. 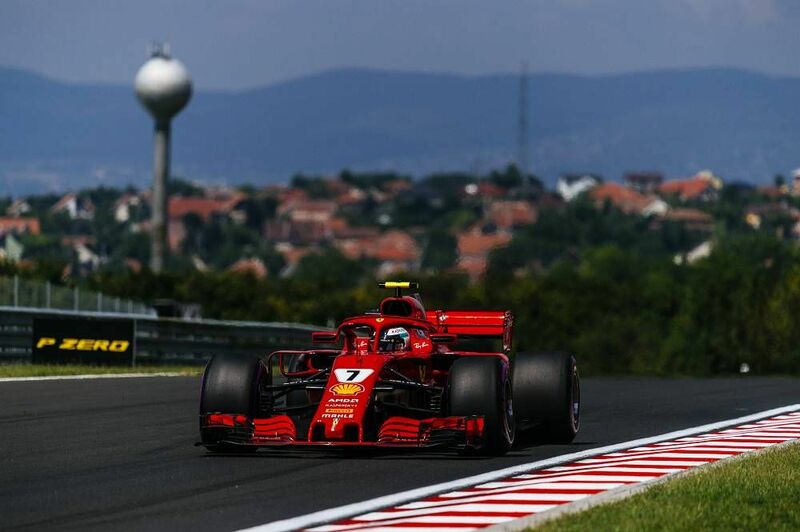 Budapest, 27 July– This is the final Formula 1 race weekend prior to the summer break. 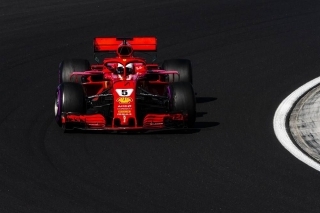 At the end of the first free practice session, Sebastian Vettel was second quickest in a time of 1’17”692 and his Scuderia Ferrari team-mate Kimi Raikkonen was fourth in 1’17”948. 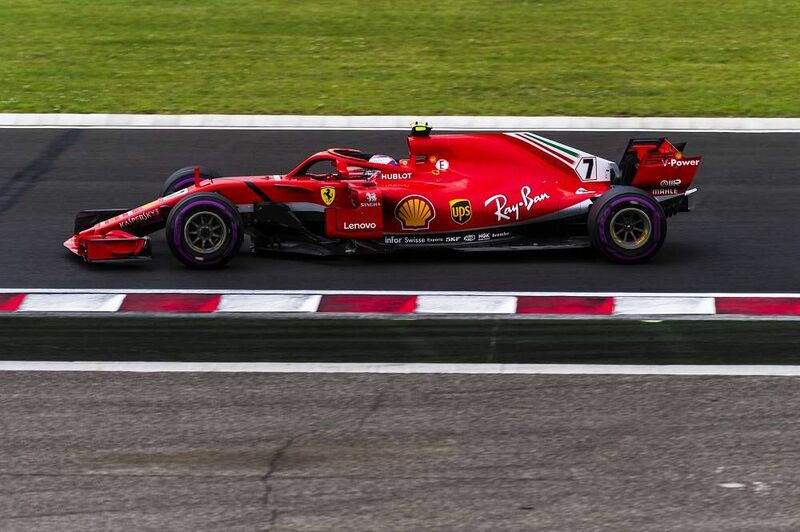 The German used only Ultrasoft tyres, while his Finnish team-mate also used the yellow softs in addition to the purple banded compound. 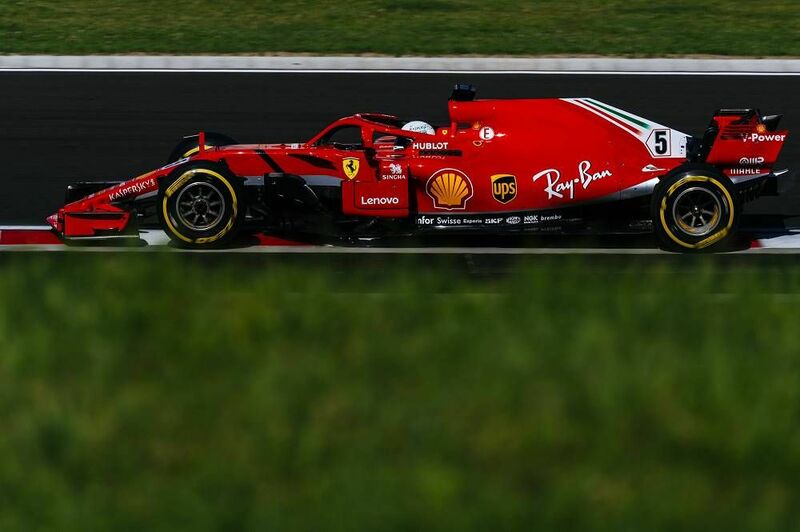 The second practice starts at 15h00.